Khody Golshan is one of a new breed of community-minded Seattle impresario. A natural promoter, he has single-handedly accepted the challenge of coaxing the local Internet set away from their keyboards, out of their cubicles, and into real, live face-space, elbow to elbow, cocktail (or soft drink) in hand. 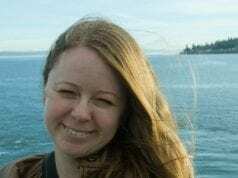 The affable senior account executive from the PR firm of MWW Savitt is the founder of ‘dot.tales,’ a Seattle networking event that is also a kind of attitude. Dot.tales is what goes on during that daily decompression period after the workday ends (the Generation-I version of “happy hour”). It’s an after-hours’ space where Seattlites can swap tales about what goes on in dot.com time, from 9-5. We caught up with this gregarious bon vivant the day after his first Thursday night soiree inside the spacious Garden Court at The Four Season’s hotel. Seattle24x7: Khody, what was your inspiration for dot.tales? Golshan: I wanted to create a low-key environment where people could meet and create personal relationships as opposed to purely pursuing the business end of things. At the end of the workday or at the end of the week, a place where Seattle people can meet one another, decompress and socialize. Golshan: Our first anniversary is coming up next month. And last night we were at The Four Seasons where we had over one hundred people in the Garden Court. We originally started at the Zig-Zag, which is a little cafe, down a few steps on the Hill Climb from the Pike Place Market, and we still meet there as well. 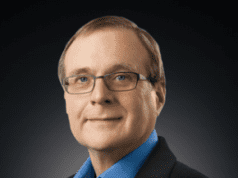 Seattle24x7: The Internet economy is going over some rough bumps right now. It doesn’t seem to have dampened your spirits. Golshan: We try to look on the positive side of things. The market’s been doing some strange things and people are feeling a little down. The economy is slowing, but it’s not tanking. Dot.tales is all about emphasizing the positive things. People can compare notes about what’s going on at other Internet companies that might be better than what they’re going through and get a better sense of the exciting things that are going on in the community as a whole. Seattle24x7: One of your “rules” is that the schmoozer must buy the schmoozee a drink? Golshan: Well, if you’re going to pitch someone an idea, for Pete’s sake, buy them a drink. Everybody’s there to enjoy themselves. Meet other people. Make friends. We want to keep it low-key. Seattle24x7: Last night, you hosted a reception at the Four Seasons. How’d did that go? Golshan: We want the events to be associated with a really nice location, and it’s tough to beat The Garden Court. We had a pianist playing beautiful music in the background, people were drinking champagne. It was a great Thursday night, which, by the way, is going to be our “Four Season’s” night, once a month. 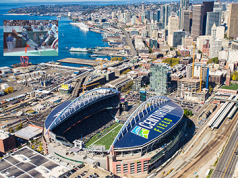 Seattle24x7: Are we talking ties and jackets? Golshan: It’s not a [mandatory] coat and tie situation. But, you know, you’re at The Four Seasons. 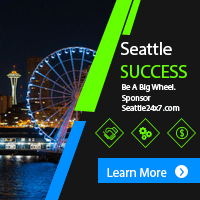 Seattle24x7: Do you have a sponsor and a Web page? Golshan: Last night, we had a sponsor for the first round of drinks, which was Jiga, the Seattle software company. We don’t charge admission. At www.dottales.com, there is info on events that have occurred. You can also get on the mailing list. Our list has grown to a couple of thousand. Seattle24x7: Khody tell us about your life in the diamond lane of Seattle Internet life. Golshan: I started out in the high tech world working for Bill Derrick in the E-commerce group at Wall Data doing online marketing. I then worked for Atrieva, which became Driveway.com, one of the first companies to offer an online file storage and retrieval system. I was the Internet Marketing Manager. Following Atrieva, I went to OpenSpace, founded by Jeff Lill, who was one of the key members of the Microsoft Internet team, and who had a hand in founding MSN. Their product was a wonderful platform — a “portal in a box” — for media companies to syndicate their content. After some consulting work, I wanted to move to the the agency side and joined MWW Savitt. Seattle24x7: Any special words for our readers? Golshan: Come join us at dot.tales! Everyone who reads Seattle24x7 is welcome!